Stop wasting time searching the internet... this valuable resource will save endless hours of searching for the best websites. Bookmark this page NOW and come here first. Now you have access to up to the minute data critical to buy, sell and rent properties. Please contribute... let us know any information or links that will improve this great resource, Contact Us Here. FindWiz.info is a dynamic site and undergoes constant revision so check back often for the latest finds. Many of you have heard Lou Brown is the "Whole Enchilada" of Real Estate Investing. Now he is sharing the "Whole Enchilada" of web links from his favorites list and an easy way to get to them all. Most of these are FREE so enjoy. Your comments, feedback and suggestions of additions are appreciated. 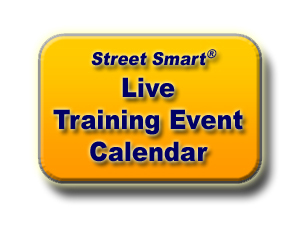 Email StreetSmartLou@LouisBrown.com and visit his site at StreetSmartInvestor.com. You'll be glad you did. 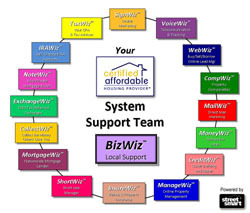 The use of FindWiz.info is absolutely free. Many links provided on these pages will take you to other websites on the internet - to return to this page close the new page the link opens. We can not vouch for any information contained on any other website. Phone System - 1-800 phone system - $39.95/mo. Copyright© 1997 - 2018 Trust Associates. Trust Associates. All Rights Reserved. Street Smart®, Certified Affordable Housing Provider®, Path To Home Ownership®, The Whole Enchilada®, House Monster®, Millionaire Jump Start® and Louis Brown® are all Registered Trademarks owned by Trust Associates. All text, images, trademarks, logos, content, design and coding of this and related websites is protected by all applicable copyright and trademark laws. No reproduction, distribution, or transmission of the copyrighted materials at this site is permitted without the express written permission of Trust Associates, unless otherwise specified.